Dig deeper into Facebook’s purchase of WhatsApp, or Google’s buy out of a login authentication company; an alarm app maker, a company that makes robots and a group that turns out smoke alarms, and what is increasingly apparent is that these companies are gearing up to be ready for when the Internet of Things becomes a daily reality. And they are not the only ones: several other companies like IBM, BlackBerry and HP are also rapidly moving to be ready for a time when everything will be connected. A time when it may be feasible for a fridge to order fresh milk via a shopping app on a smartphone, making payment through the banking app, in a fully automated process. Granted, a futuristic Internet of Things world may be some way off, and neither Google nor Facebook may be keen on making actual talking appliances, yet, all the major computing and Internet companies are manoeuvring towards making sure that they have all the necessary keys in place to own as much of the future space as possible. This Internet landgrab is not limited to buying out companies that may have expertise needed in the next decade; several moves are also afoot – by the likes of Microsoft, Google and Facebook – to expand the Internet’s reach. This will be vital in a world where everything is connected to everything else, and expanding coverage will bring more and more people into the fold. Arthur Goldstuck, MD of World Wide Worx, says it is “already a cliché that we are in the midst of the greatest Internet landgrab yet”. He notes, however, that this phrase does describe the current competitive arena fairly well. Recently, Facebook spent $19 billion to buy WhatsApp – an amount that was $3 billion more than Facebook raised when it listed. The move, said Facebook, supports the companies’ shared mission “to bring more connectivity and utility to the world by delivering core Internet services efficiently and affordably.” It will also help accelerate growth and user engagement across both companies. Goldstuck has noted the deal merged the two largest players in the “twin powers of communication on mobile devices”, social media and instant messaging. Vestact analyst Sasha Naryshkine added, there must be a way, in future, for Facebook to mine WhatsApp’s 500 million-strong database, noting Facebook bought the company, at a huge forward price-toearnings ratio, to “kill the opposition quickly and to welcome them to your side of the fence”. Facebook has also been playing in the Internet space, joining the likes of Microsoft and Google in investigating alternate forms of getting more people connected. Both Google and Microsoft have been looking into the viability of using white spaces between television channels to provide Internet services, while Google has also fl oated massive balloons with the same end in mind. 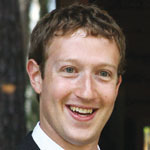 At the end of March, Facebook CEO Mark Zuckerberg" rel=tag>Mark Zuckerberg announced the team at its Connectivity Lab had been “working on ways to beam Internet to people from the sky” in its effort to connect the whole world with Internet.org. The lab is building drones, satellites and lasers to deliver the Internet to everyone, he said in a post on the site. “Our goal with Internet.org is to make affordable access to basic Internet services available to every person in the world. We’ve made good progress so far. Over the past year, our work in the Philippines and Paraguay alone has doubled the number of people using mobile data with the operators we’ve partnered with, helping three million new people access the internet. Creating the Internet of Things, however, goes beyond just connectivity to the technology behind the scenes that makes it happen. Google, has slowly been making quiet deals as it continues to grow its selection of building blocks in preparation for a connected, smart and automated world – way before consumers are ready for such a life. Among other acquisitions, Google has bought SlickLogin – a new Israeli start-up that authenticates users through sound. That deal added to Google’s recent purchases of a mobile alarm clock developer, a company that makes robots, a group that turns out smoke alarms, and its move into making smart contact lenses. Google is increasingly investing in an automated future, one in which everything is connected, where self-driving cars and robots are the norm and no longer a futuristic idea. It has been buying small companies to add to this portfolio for the time when consumers are ready. In the face of it, a security solution that authenticates users based on sound seems to be backward thinking, as biometrics is increasingly – despite its failings – seen as the way to go. However, SlickLogin fits into Google’s Internet of Things future vision and has a role to play as a master key to unlock doors, bank accounts and online presences. SlickLogin uses GPS, WiFi, Bluetooth and near-fi eld communication to verify the phone’s position, and the sound generated is unique and cannot be heard by the human ear, says the site. The security measure, it says, was “built either to replace the traditional password system, or as an authentication system on top of the password”. Swift Consulting CEO and tech blogger Liron Segev has noted that Google never buys something for just one purpose. Google wants to own the future building blocks for when people are ready for an automated world, he said. Google recently made several forays into the connected world, including its bid – as reported by Reuters – to test a contact lens equipped with tiny chips and an antenna. This contact lens will allow diabetics to monitor their bloodsugar levels. It has also acquired Nest Labs – a company that provides home tools such as smoke detectors and thermostats – for $3.2 billion. Google’s purchase of SlickLogin fits in with its plans around the Internet of Things, says Goldstuck. That deal followed its purchase of Bitspin, a Swiss mobile app developer, which makes Timely, a blend of alarm clock, stopwatch and timer. Segev says Google is making deals now, thanks to its pots of gold in the bank, to own intellectual property that will allow it to be ready, when the time is right for a smart, connected, automated world. In the third quarter of last year, the giant turned over $14.89 billion, and made a net profi t of $2.97 billion. Although it spent almost that amount on capital items – a trend it expects to continue – it still ended the period with $14.8 billion in cash and cash equivalents. Segev says Google is not about individual products, but what it can do when it pulls all of these together. SlickLogin could be its way of taking passwords, like that used for people’s single Google account, into a physical world, he said. In the future, people’s smartphones could unlock doors, or be used as a key for bank accounts, says Segev. Goldstuck notes Google and Facebook are making the most high-profi le acquisitions at present, “but the sheer scale of their activity masks the fact that they are playing in a broader and more threatening arena”. In addition to making deals, Google and Amazon are facing off in the content space, says Goldstuck. While Google and Apple are battling it out for control of the entertainment arena, and Microsoft and Google are fighting in the hosting space, “Amazon is jumping up and down to join the fight”. Reuters, citing sources noted recently that Apple is close to paying a record $3.2 billion for Beats, which would be an expensive foray into music streaming and headphone gear that would mark a departure for the usually cash-conservative iPhone maker. The wire service says Beats, founded by rapper Dr Dre and legendary music producer Jimmy Iovine, is best known for its “Beats by Dr Dre” line of trendy headphones that vie with the likes of Skullcandy, Sennheiser and Bose. This year, it launched a music service that has won plaudits for its slick design and human music curation, versus the computer-algorithms that determine playlists for most of its rivals. While some of the more high profile battles are being fought by the relative new kids on the block, Goldstuck notes that the likes of IBM, Dell and HP are also taking each other on in the services arena. HP recently announced plans to invest more than $1 billion over the next two years to develop and offer cloud computing products and services, Reuters reported. It quoted the company as saying it will make its OpenStackbased public cloud services available in 20 data centres over the next 18 months. That move followed one by IBM to revive demand for its hardware through the unveiling of high-end system servers that it claims are 50 times faster than its closest competitor at analysing data, the result of a $2.4 billion, three-year investment. Cisco has also announced plans to spend more than $1 billion to build what it claims will be the world’s largest intercloud, and expand its cloud business over the next two years. Amazon, at the end of March, said it would drop prices on most of its cloud computing services from April, a day after rival Google outlined a major price cut of its own, Reuters reported. Microsoft is also remodelling to compete with the likes of Apple, Google and Amazon off the back of its leading cloud and virtualisation offerings, says Goldstuck. Microsoft is also going through radical change, a shift that coincides with the end of support for XP (widely seen as its most popular OS yet). The software giant recently made several big announcements that impressed with the speed with which they landed under new CEO Satya Nadella, who became the company’s head in February. 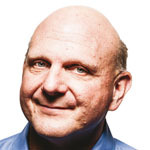 Steve Ballmer, Microsoft" />Microsoft was founded in 1975 and has often been criticised for being behind the times, having missed the mobile revolution under former CEO Steve Ballmer’s watch. 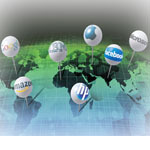 However, the company is now revolutionising itself on the back of its cloud platform. Several announcements have come out of its recent Build conference, which led to its stock price reaching a 14-year high. Microsoft’s recent news included that it is giving away Windows to makers of smartphones and small tablets for consumers, which followed its announcement of Office for iPads. Segev has also noted that Microsoft made three other big changes, including opening Windows to developers and hardware hackers so they can build apps and platforms, without charging; making tiles optional instead of obligatory; and launching – in beta in the US – Cortana, which is Microsoft’s answer to Siri and Google Now. The software giant is also taking on Apple in the car space, with news that it has developed a touch- and car-friendly interface that allows Windows devices to mirror what is on-screen. Goldstuck says these moves show Microsoft’s understanding that the game is not just about providing hardware anymore. Free Windows for smaller mobile devices was a “shocker” of an announcement, says Goldstuck, which requires a “radical” mind shift that may not have been possible under Ballmer. It is symbolic that these shifts come under Nadella, as it highlights his – and the company’s – intention to be relevant to this decade, which is characterised by an increasing number of mobile devices and “appification” of software, he says. The software giant has woken up to the mobile era, says Segev. While one thing is clear: the future is connected. Yet, just how privacy and security will be ensured is another question. Segev notes people are often all too happy to swap security for convenience, even if it comes at a price. Applications designed around QNX include wearable GPS and communication systems for ground troops, unmanned aircraft control systems, steam turbine controls, nuclear power monitoring, advanced driver assistance in cars, and a range of medical diagnostic and monitoring equipment, says Chen. The group has also recently invested into healthcare, with a view to connected healthcare being a key part of the future. NantHealth has developed a cloudbased clinical operating system that is agnostic to any device or electronic health record. “This is the future of healthcare, a field where the ability to share reliable information and make sense of conflicting signals can mean the difference between life and death.” Milk with that coffee?